This is a guide about making coffee filter art. An easy, inexpensive paper craft for children of all ages can be created with coffee filters. Easy and inexpensive, children of all ages can enjoy this craft. Use everyday household supplies to make lovely kid designs. This craft can also be used to teach colors and color blending. Cover a table with newspaper or some other protective cover. Lay out several plain white coffee filters. If you have time, flatten the filters under a heavy book or object. It's best to do this the night before, but I did it shortly before and it still worked well. 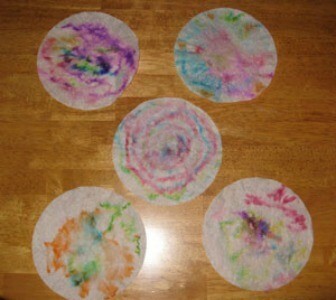 Let the kids design the coffee filters with markers. When they are finished, let them use their fingers to dab water on the filters. They can even use a paint brush or baster. Another option is to use a spray bottle to mist the filters. Watch the colors spread and blend. Let dry and hang. These look nice in a window like a sun catcher. This is a fun art project which is simple. First, a coffee filter is colored with markers, (not permanent) in no particular design and sprayed with a spray bottle filled with water. The water causes the marker colors to spread out in an interesting tie-dye-like fashion. 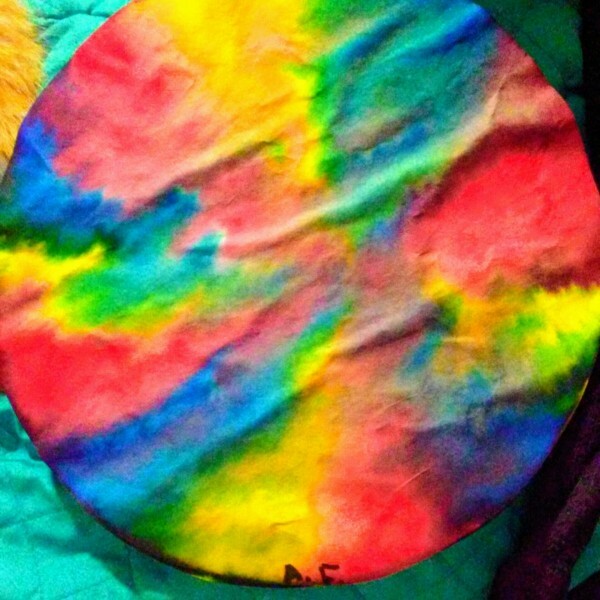 Once these are allowed to dry, they can be made into flowers or simply hung up for their colorful effect. There is no way to do this art project wrong. These can be used to wrap small gifts since they are so colorful.